It’s hard to believe 2014 is almost over. This has been a wonderful year and I am so excited to see what 2015 holds. Thank you for all of your support! 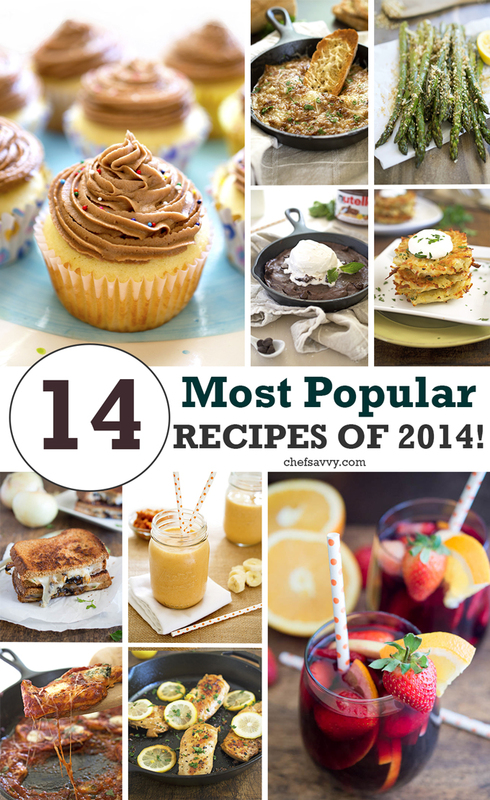 Below are the 14 Most Popular Recipes on Chef Savvy in 2014! 1. 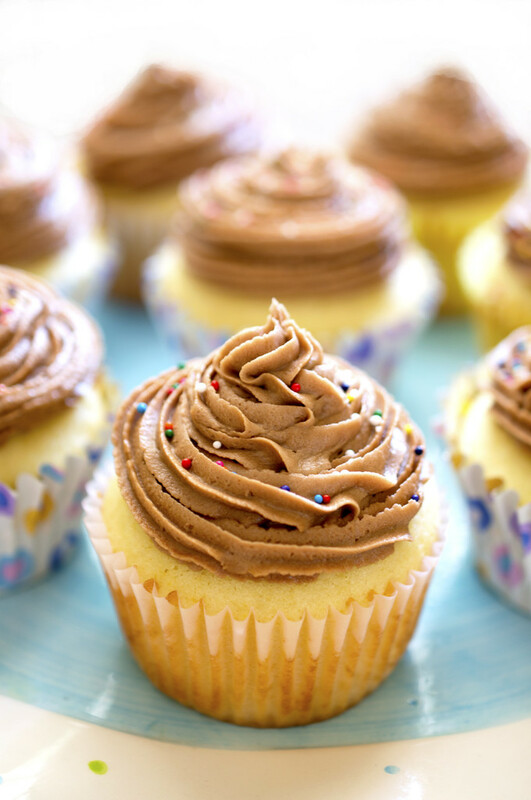 Yellow Cupcakes with Nutella Butter cream Frosting: Super moist homemade yellow cupcakes topped with a creamy Nutella buttercream frosting. Best cupcake recipe of 2014! 2. 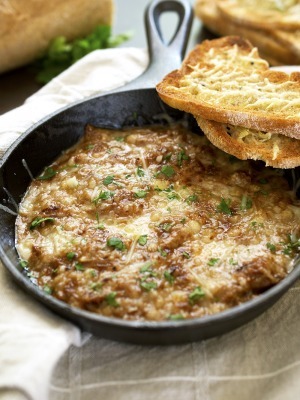 Warm French Onion Dip: Creamy French Onion Dip made with caramelized onions, beef consomme, cream cheese and Swiss cheese! Great as an appetizer or snack. 3. 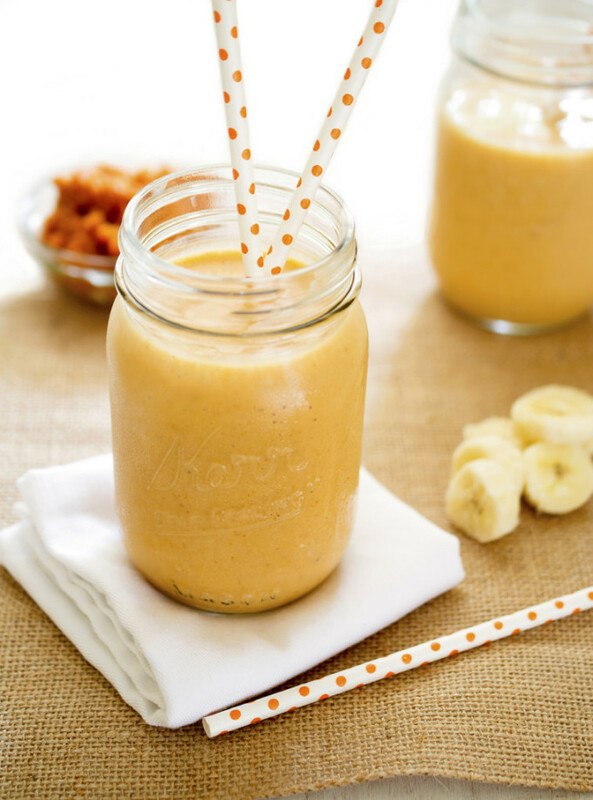 Pumpkin Banana Smoothie: Heart healthy fiber packed Pumpkin Banana Smoothie made with Greek yogurt, milk, and pumpkin puree! The perfect way to start your day. 4. 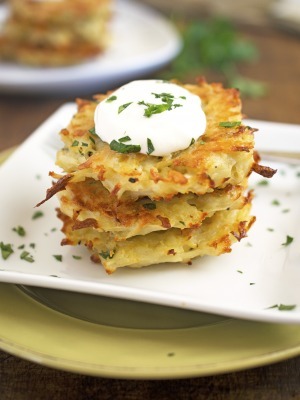 Baked Potato Pancakes: Crispy Baked Potato Pancakes stuffed with shredded potatoes, Parmesan cheese, onion, and garlic. 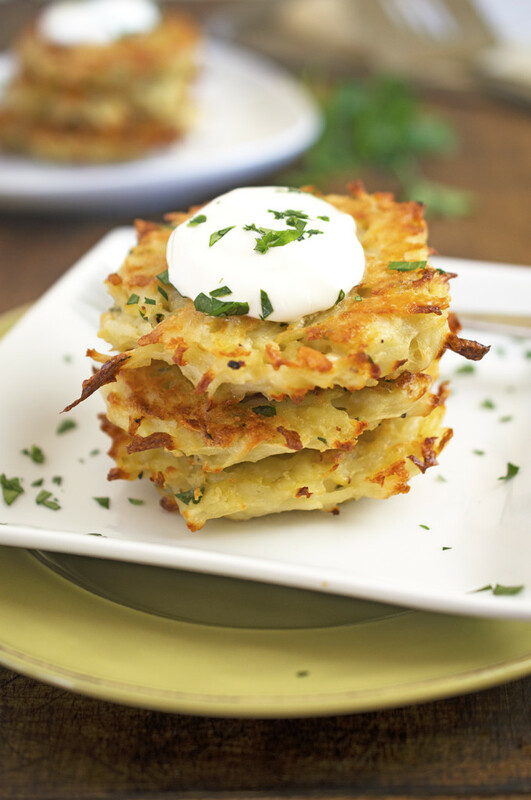 A healthier alternative to fried potato pancakes or latkes. 5. 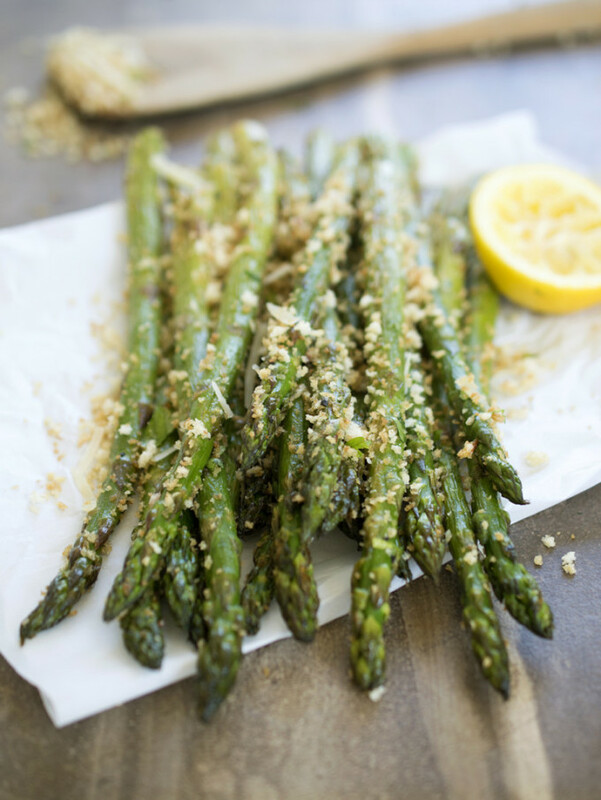 Roasted Asparagus with Garlic Breadcrumbs: A Quick and easy side dish to accompany any meal. Tossed with garlic breadcrumbs for tons of crunch. 6. 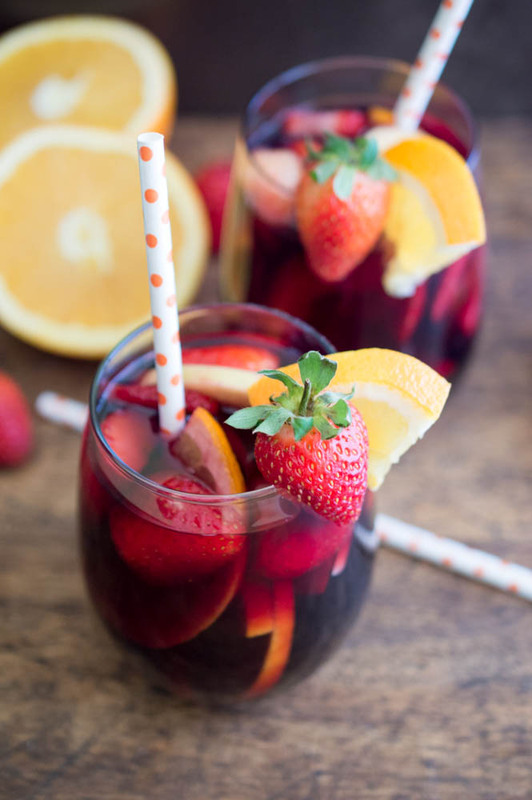 Red Wine Sangria: Simply and Fruity Red Wine Sangria. Made with fresh fruit, red wine, brandy and pomegranate juice. Perfect Fall or Winter cocktail. 7. 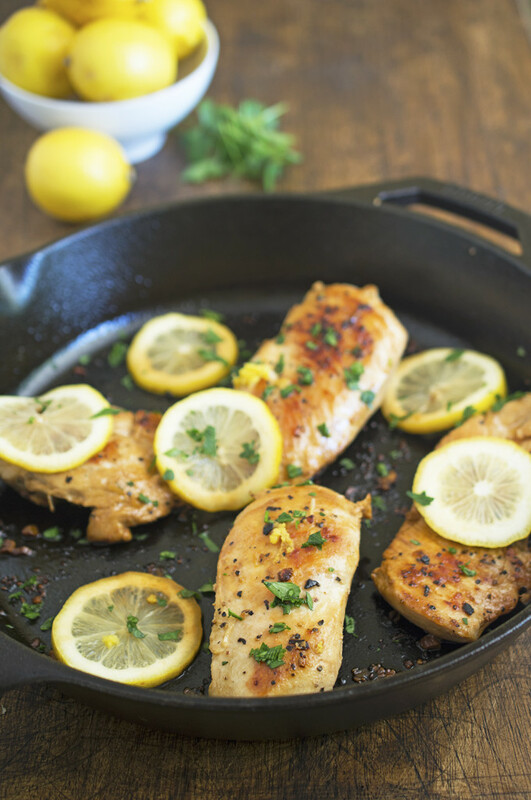 30 Minute Lemon Chicken: Super easy recipe for Lemon Chicken. 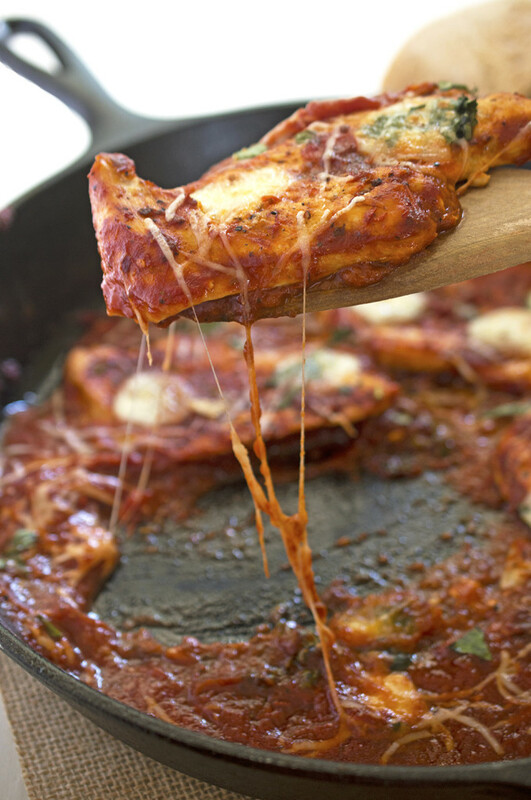 You only need a few ingredients to make this one pan dish! 8. 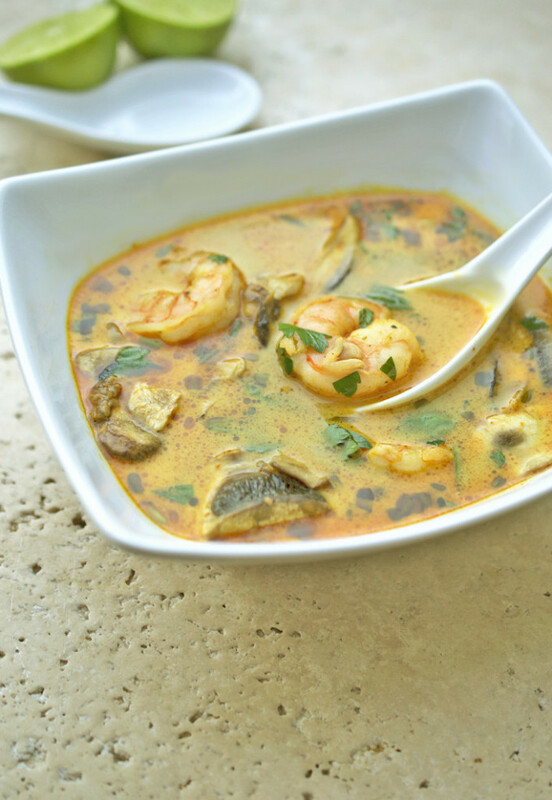 Thai Coconut Soup: This spicy soup is made with curry, coconut milk, vegetables and shrimp! Best soup of 2014 hands down! 9. 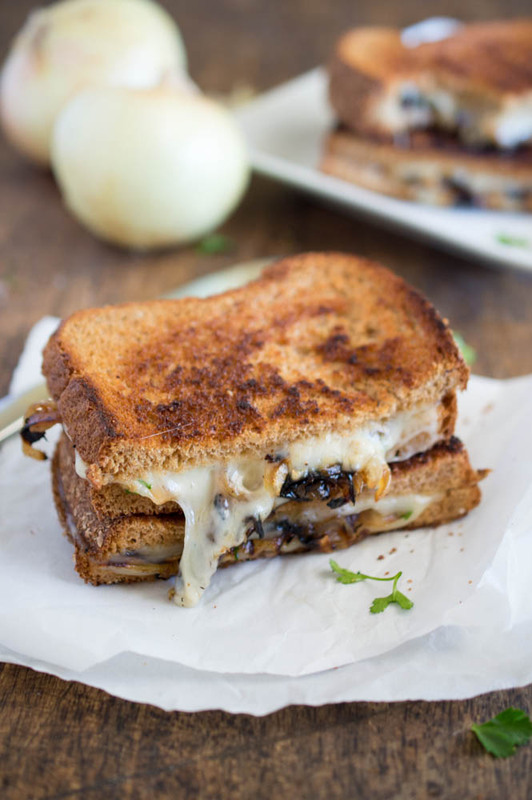 French Onion Grilled Cheese: All of the flavors of French Onion soup you love stuffed into a grilled cheese sandwich. 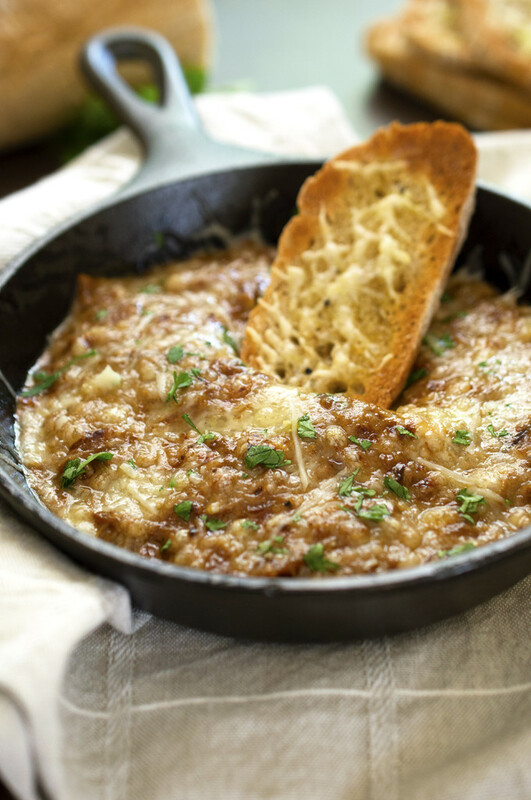 Made with caramelized onions, Swiss cheese, and parsley. 10. Italian Chicken Skillet: A simple One Pan Italian Chicken Skillet that can be made in less that 15 minutes! 11. 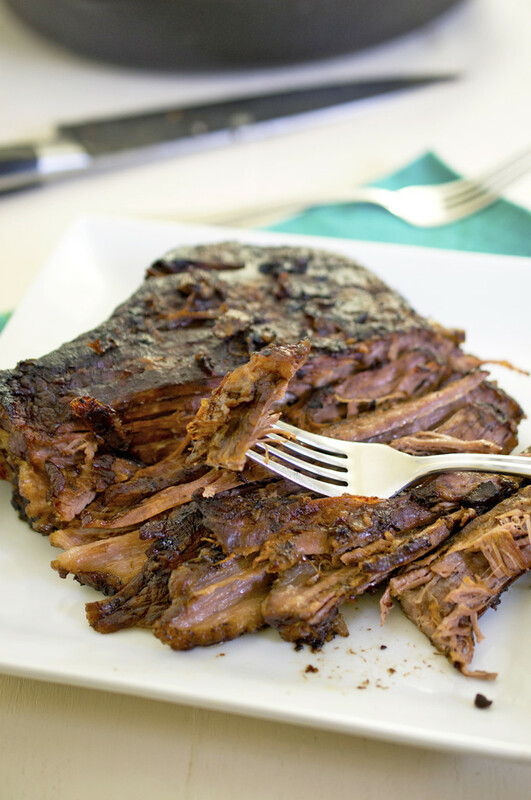 Roasted Beef Brisket: Oven Roasted Beef Brisket smothered with roasted vegetables, red wine, and beef stock. A perfect make ahead Sunday dinner. 12. 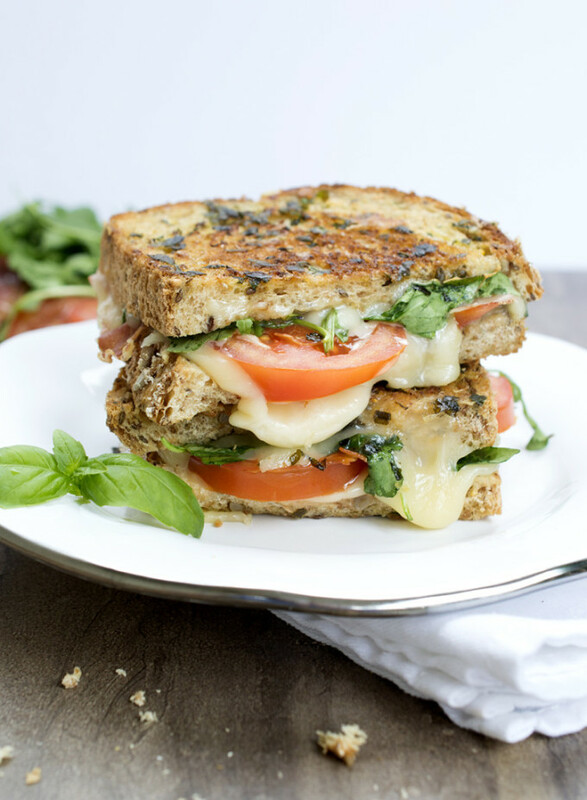 Italian BLT Grilled Cheese: Italian BLT Grilled Cheese made with prosciutto, arugula, tomato and slathered with a homemade herb butter. 13. Chocolate Brownie for Two: A Large Triple Chocolate Brownie for Two made with Nutella and double the amount of dark chocolate morsels. Serve a la mode with ice cream! 14. 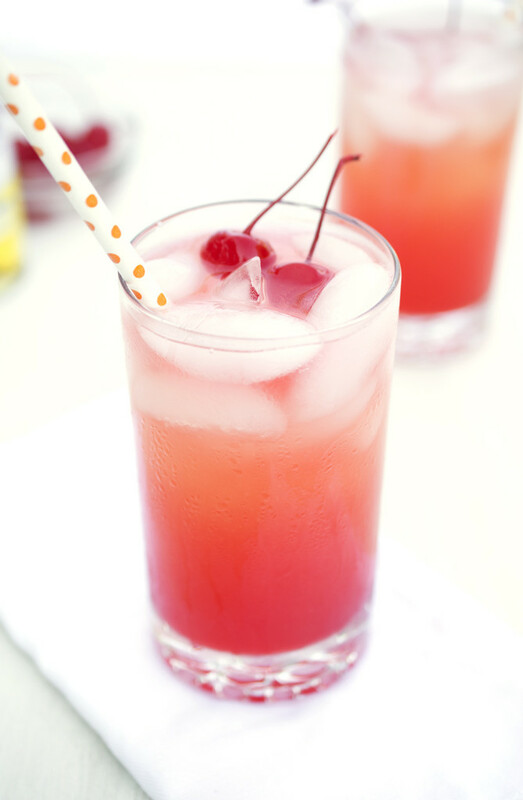 Pineapple Sunset Cocktail: A fruity cocktail made with pineapple juice, vodka, and grenadine. Takes less than 5 minutes to make! You’ve got some fabulous recipes here and some great original ideas – far too hard to choose my favourite! Thanks Helen! Have a wonderful New Year! What a great collection of recipes, I can see why these were so popular! I love chicken and that lemon chicken looks incredible. Your photos and recipes are always so wonderful! I am loving this round-up! 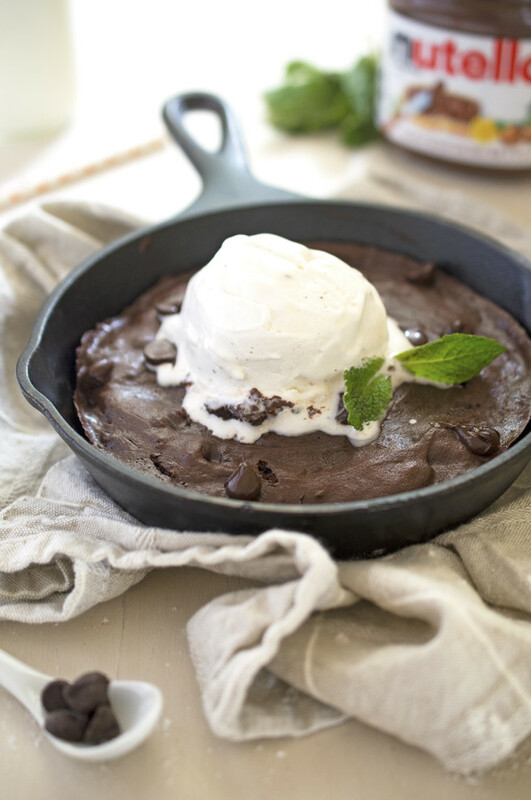 It’s no wonder these were the most popular recipes of 2014, they all look incredible! This is a glorious roundup of delicious recipes. You’ve had one incredible year! 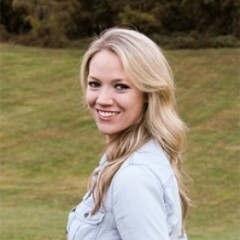 Thanks Jen! It has been a pretty incredible year! I need to get a new container of Nutella so I can make that buttercream frosting! Happy New Year! Thanks Matea! Happy New Year to you!